See a walkthrough video on building a classifier with tips and recommendations. 1. 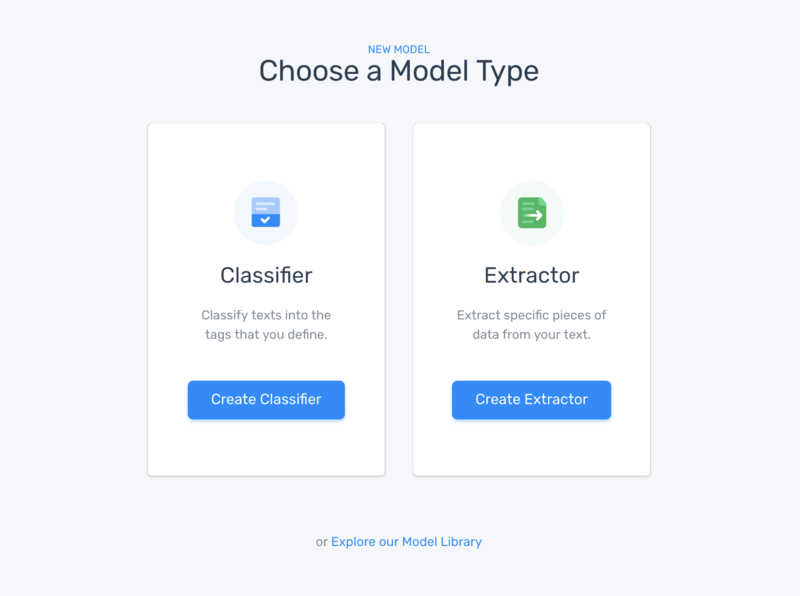 Start here to build a custom model, and then click "Classifier"
2. 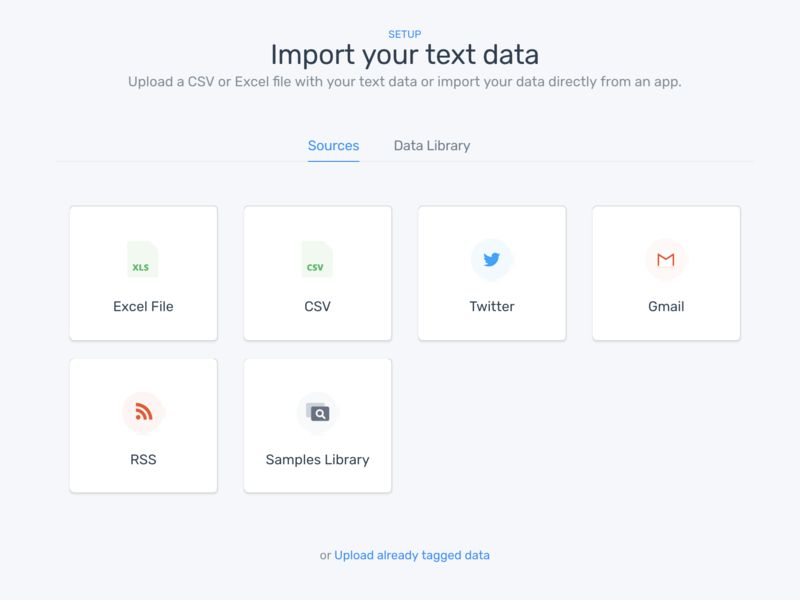 Import your text data by uploading files directly, or connecting with an outside app. If you are uploading data with previously defined tags, click the option at the bottom "Upload already tagged samples". 3. 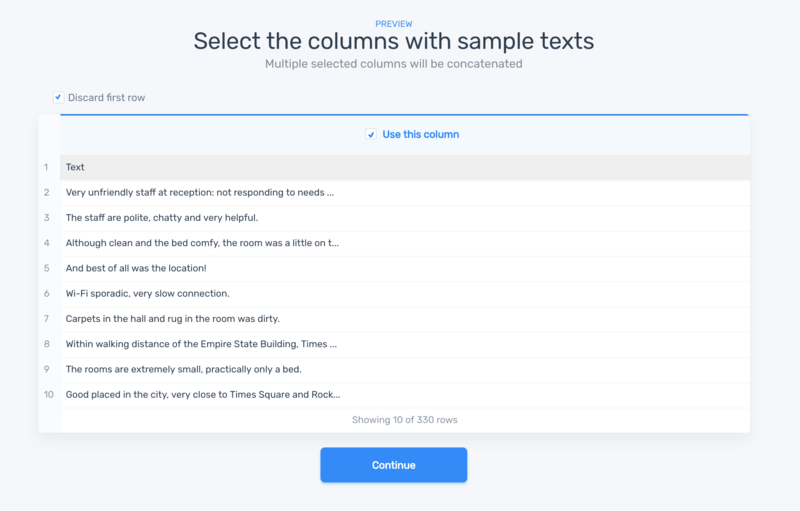 Selecting the columns containing the texts. This is the data you will build and test the model with. If you select multiple columns the data will be concatenated, or joined together. 4. 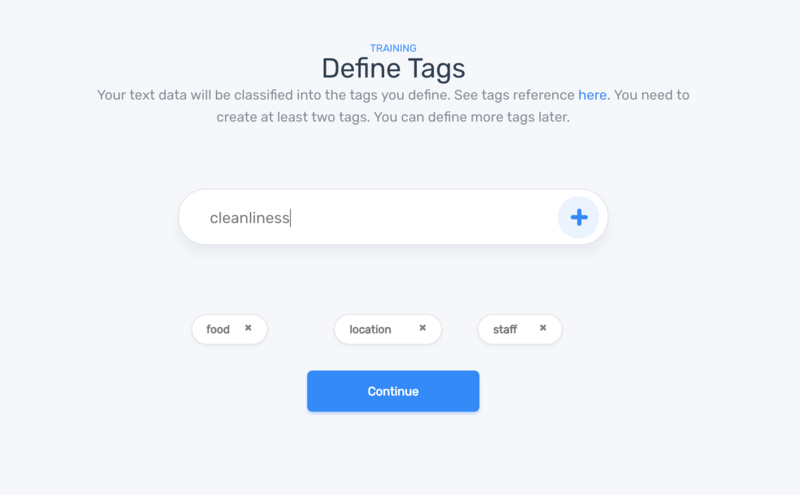 Define the tags you will use for the classifier. At least two are needed initially, more can be added at later stage. 5. Tag each text that appears by the appropriate tag or tags. This will help train the model. The classification model is now trained with the training data and tags you provided. It can be used to classify new text or be trained further. You can test your trained model by pasting in text and seeing what the predictions will be. Or upload a file directly to process text in a batch all at once. 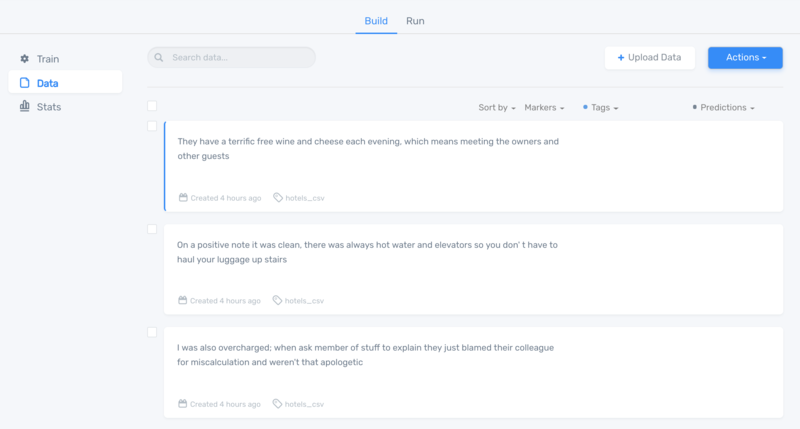 Go to the Build Tab to see options to further train the module by tagging more texts. 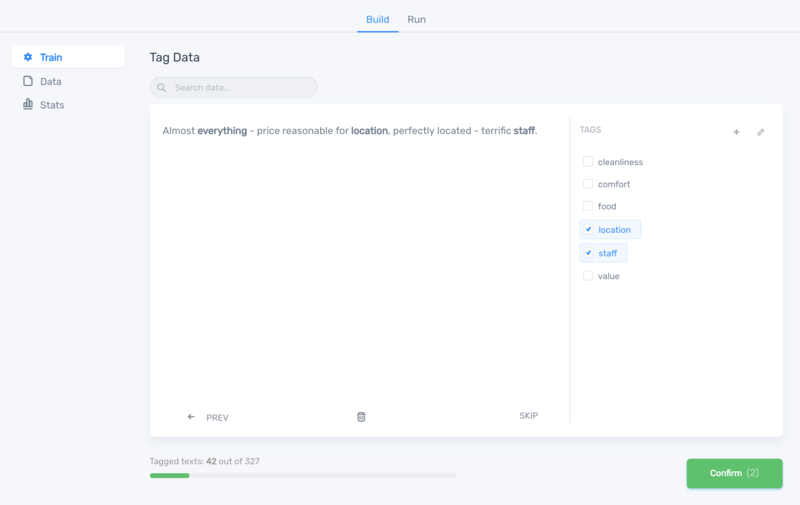 In Data, you can see all your text data, filter by tags, and select texts to perform bulk operations. Once you have tagged enough text data, you can begin to see classifier stats in the Stats section. At the overall level you will see data for Accuracy and F1score. 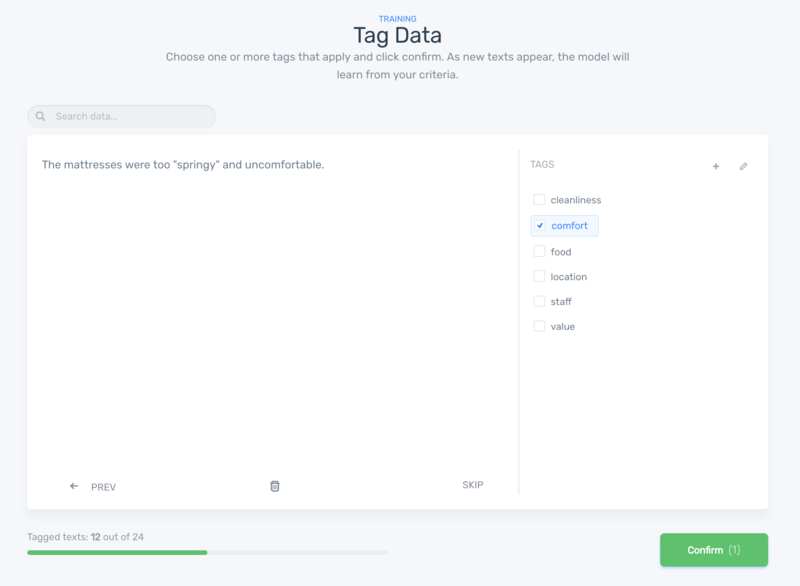 Clicking on each tag will show you that tag's precision and recall, as well as keywords.